Climbing Back Down from Obesity: Listening to your 10 year old Self. In the early 1970’s in the once sleepy metropolis of Toronto, Canada, I played out my childhood along the tree lined streets of Rosedale, a city neighborhood akin to a desirable American suburb. 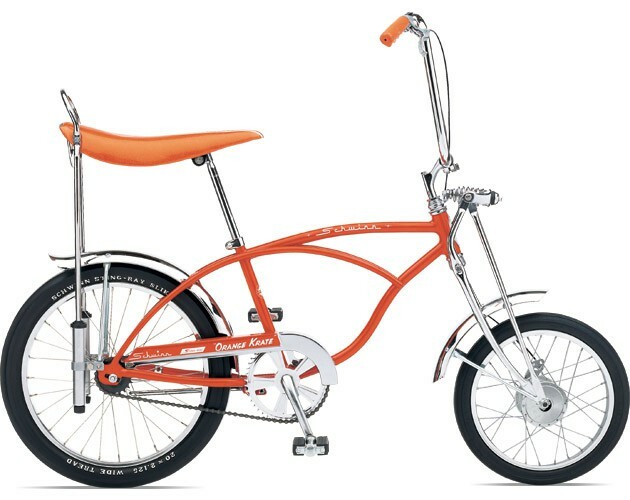 I would be out on my orange banana-seat bike from breakfast ’til dinner time, exploring my world and getting into just enough trouble, to not get caught. It was a happy time and I lived day to day, in the moment. One of my favorite things to do was climb trees! In fact, we lived opposite a park and looking out our front window, it looked like a display case, with about 12 mature Oak and Maple trees to choose from, each one whispering my name with their leaves. I’d prop my bike up against the trunk of one of those trees, scramble to stand on the seat and then reach up for a low hanging branch. As I pulled myself up into the tree, my day’s adventures would begin. Each route to the topmost perch would have it’s challenges; often times I would start one way but then get stuck and have to backtrack to the starting point, then try a different route. The climb down wasn’t without it’s risks either, the skin on my inner arms and thighs was marked with a familiar bark-burn pattern. I’d often yelped when impaled by a tiny broken twig stump. My favorite was the micro-second blackout and slow build to brain-numbing pain when I would thump my head against a thick, hard branch, which I neglected to notice. My reflex would be to hug the tree under my body and as the tears welled up in my eyes, all I wanted, was to get down, now! Through the blinding pain, I’d have a self-pity fantasy about yelling out for help and my parents would be below with the full fire department. The firemen would be extending the truck ladder just for me, I’d be saved, a crowd would cheer. Then as the pain subsided, I’d shake off the fantasy and continue down the tree the best way I knew how; the way I got up, but backwards. If the 48 year old me could travel back in time to one of those days, I’d walked up to that tree, take that gorgeous banana-seat bike in my hands, caress it’s curvy handle bars… “Hey! Mister, that’s my bike! Stop touching it like that!! !” Ooops, I guess I need to introduce myself to my 10 year old self… I stumble through an explanation of who I am and how I got there, that only a 10 year old boy would believe. “But you’re bald, gray and fat!” my 10 year old self, blurts out defensively. I take a moment to separate the facts from the insults. I explain that he is correct, but the bald and gray things are genetic and I have no control over them. “And the fat?” he asks. I quickly lecture him, that 38 years in the future, we call it “overweight” not “fat”. “Fine then, how’d you get fat overweight?” My 10 year old self nails the landing from a low branch. My mouth opens and I stutter out an excuse, “it’s complicated, kid…” but that isn’t a truthful answer. How can I brush off my 10 year old self by implying that I wasn’t in the driver seat when I collected the 35lbs of history, I carry around with me? I want to tell him it was unavoidable, but was it? Did I always have to stuff my face with chocolate brownie ice cream? Was I forced to eat all the left-overs on my kids’ plates? Did I really need to nibble on a whole bag of chips just to stay up until 2am finishing up work? How about skipping the gym 4 weeks in a row? Looking back on those decisions I see that that they did have an effect on my future, and it was not a positive one. Could I have made better choices, clearly, yes. So I’m standing there trying to figure out how to justify to my 10 year old self why I, why WE, are going to be “overweight” in the future. The little punk comes over to me and grabs our bike from my hands. He looks me in the eyes, shakes his head in disgust, “loser!” he whispers under his breath, and starts to scuff away. 38 years later + 35 pounds overweight, bordering on obese, I did have choices, lots of them. 38 years later and 35 pounds overweight, bordering on the medical definition of obese, I did have choices, lots of them. I chose to barrel through and make the poor ones. I have no one to blame but myself. So now I have to make my way back down through those poor decisions. I could call the “fire department” and make someone else responsible for my recovery. Then if it fails, it’s the diet or doctors’ fault not mine. Dr. Oz on TV has proclaimed that he has found 16 weight loss miracles so far – so why is there still an obesity epidemic? Clearly the U.S. senate agrees with me, it’s his fault. I was responsible for becoming overweight, I am personally responsible for climbing back down. I was responsible for the process of becoming overweight and through the wisdom of my 10 year old self, the solution lies in me being personally responsible for climbing back down. So how do can you and I do that? Become Mindful of What you Eat and how Much of It. Grab a free food diary app for your smartphone and start logging your consumption. Now you will know how many calories are coming in and be able to extrapolate the number of calories you need to burn, to lose weight. Start eating your favorite foods a little differently; instead of eating out of the bag or box, put out a serving and then put the remainder away. Slowly over time, look at your favorite dishes and see how you can make a small change to lower it’s calorie impact but maintain your satisfaction. Do this everyday and your calorie intake will fall and over a year you could lose 5 to 10 pounds. Everyday we make dozens of decisions that could either negatively or positively effect our health. Most of the time we do this mindlessly… So let’s engage. Take the once wasted chore of grocery shopping and turn it into a workout; park in the furthest spot from the entrance of the store. Keep moving as you shop. Bring reusable bags and load them so they are heavy, lift them up and down several times each time you move them. On your daily commute, do you use public transport? Walk a stop or a couple instead of mindlessly waiting for your train or bus to come. Instead of taking an elevator, take the stairs. Need to go to the bathroom? Take the long way there and back. These small positive acts quickly add up day after day, week after week and by the end of a year you could lose 5 or 10 pounds! Get yourself a inexpensive pedometer, or better yet, get one that wirelessly synchronizes with your smartphone and food diary app. Every step you take during your day will be recorded and you will get credit for them against what you eat. If your pedometer and food diary synchronize together, then that calculation is done automatically. You can easily see at any moment in time how you are moving towards your goals. Exercise and eating decisions are now based on real data. Take these steps everyday, be mindful of what you eat and how you keep moving – you will see real change. You are not going to see huge results in a week or a month but you will see a downward slide in your weight. Keep doing this for three, six months, a year and you will reach your weight-loss goal. The added prize to reaching your goal this way, is that you have reinvented your lifestyle and your change can be permanent! It’s now 40 years on from when I was climbing that tree and if I had another encounter with that little punk – he’d be proud. I have lost all the weight I had gained, in fact I weigh the same as my 19 year old self (who I really, don’t want to meet!). Between being on track to hit 4,700 miles walked in 2 years, with the help of my treadmill desk and a year plus of Yoga to build up my flexibility and core strength, I think I could take on my 10 year old self, in a race to the top of one of those trees. If a 50 year old father of three teenagers can do this, so can you!